Explore the forests of Tropical Asia. 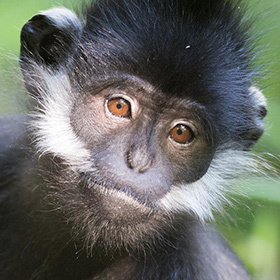 The dense tropical forests of Asia hold some of the world's most endangered species. 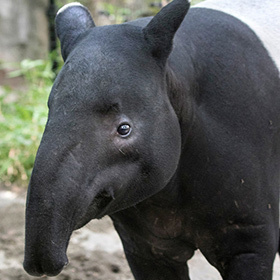 Our Tropical Asia zone features the Trail of Vines, home to orangutans, siamangs and tapirs. 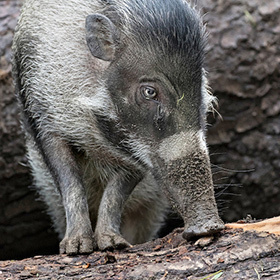 Across the main loop path, the zone continues with Banyan Wilds, home to tigers, sloth bears, Asian small-clawed otters, and a variety of birds, all dependent on forests to survive. This unique part of the world has some of the most densely human-populated cities as well as the last vestiges of wild habitats—a balancing act that is increasingly putting animals on the brink of extinction. 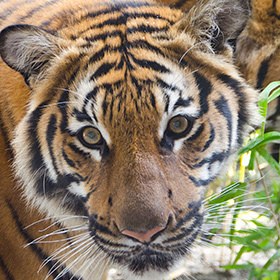 See the amazing animals from Asia and discover how you can help protect them. At the Trail of Vines exhibit in the Tropical Asia zone, look for these familiar faces. 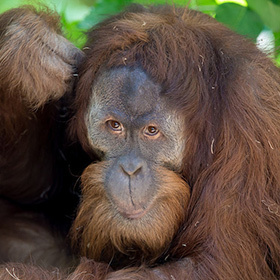 About Chinta: Living up to her name, Chinta is easy to love with her sweet, kind disposition. Hand-raised by humans, she is very interested in people. She loves to vist with guests at the exhibit, and in particular has a fascination with people’s ears. This mid-day napper has a calm, unassuming presence and a nurturing quality about her. 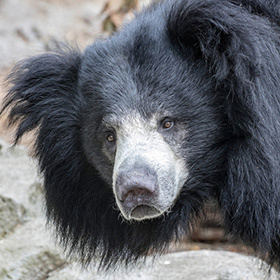 Chinta like to clean—she plays with water and rags, and has been seen washing the windows! About Melati: Melati is self-assured. Though she has only two fingers on her left hand, she can travel anywhere and do anything the others can. 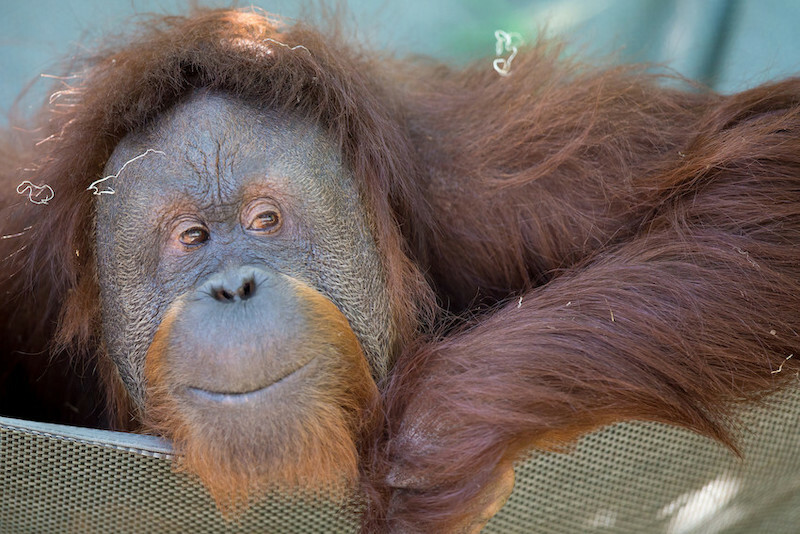 Melati was hand-raised by humans and likes to visit with guests at the exhibit. Inquisitive by nature, she also has a playful and silly side that comes out at times. Melati enjoys one-on-one time with her keepers and thrives when she gets special attention—like having her teeth brushed or getting a hand or foot massage! How to spot her: Look for Bela’s long coat and beautiful eyes rimmed in a lighter skin color. About Belawan: Belawan is independent and curious. And boy can she be stubborn. When Belawan wants something, she wants it right away. Belawan is inquisitive and inventive. She loves to break branches outside and bring them inside to “fish” for things that are meant to be out of her reach—like plants, hoses and garbage can liners. She is also known for tying knots in sheets and has even been seen making a tent! 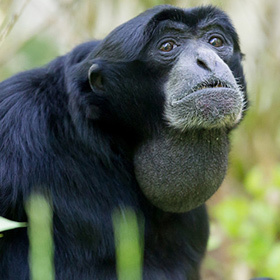 About Heran: Heran is an ape who feels everything deeply. When he gets excited or upset or worked up, he’s quick to make a big display. 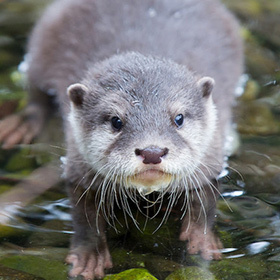 But you might find him ducking behind a rock five minutes later—he’s known to hide when he feels uncertain about a situation. Heran feels most confident when he settles into a routine, and if that routine includes lots to eat, all the better. This big guy has a big appetite. 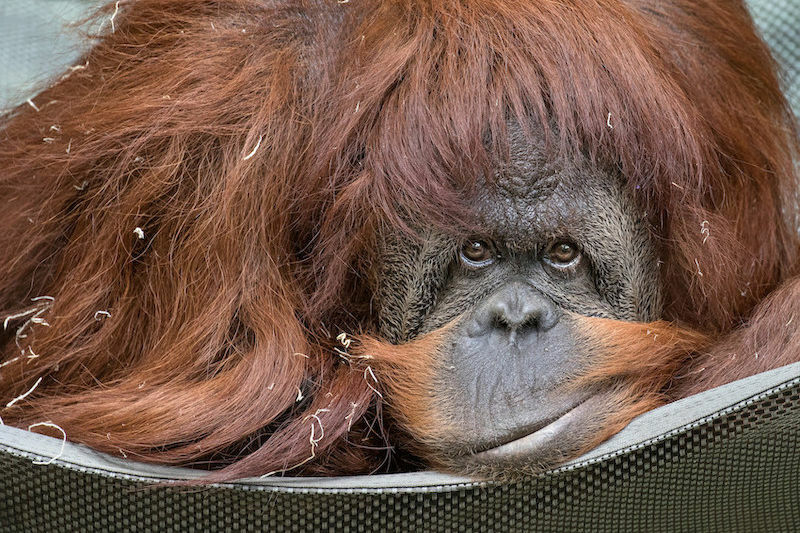 About Godek: Young, energetic and ready to explore, Godek is the newest addition to Woodland Park Zoo’s orangutan family. He arrived in 2017 and settled in easily with Chinta and Melati. This agile climber is bringing out a youthful playfulness in his elder mates! 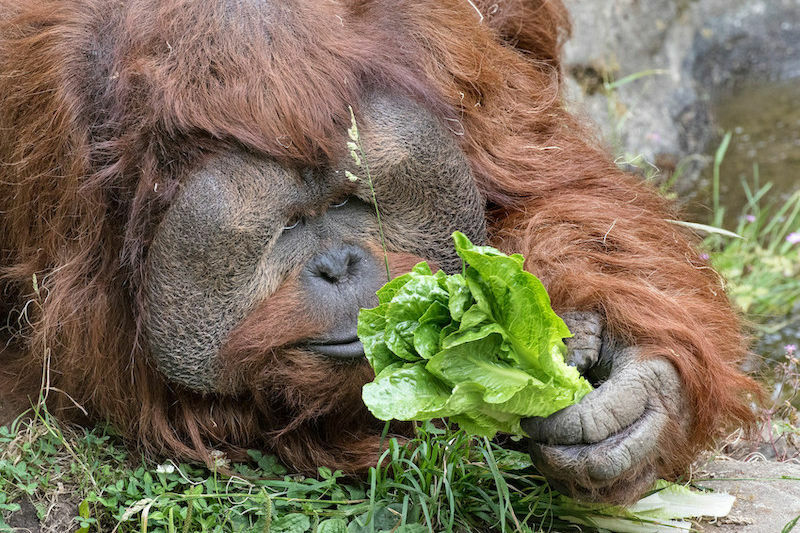 Every time you visit our orangutan family, you make it possible for Woodland Park Zoo to support critically endangered orangutans in the wild. 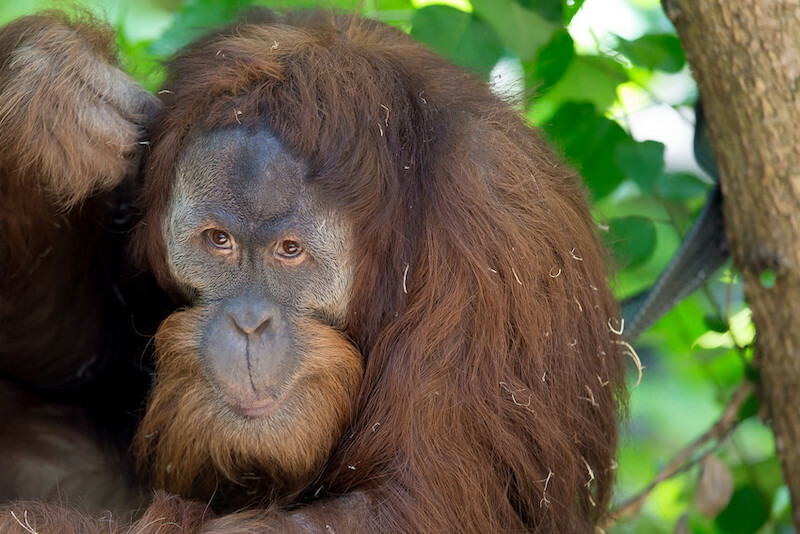 Our Partner for Wildlife, the Gunung Palung Orangutan Conservation Project, helps protect forest habitat for these great apes. You can too. 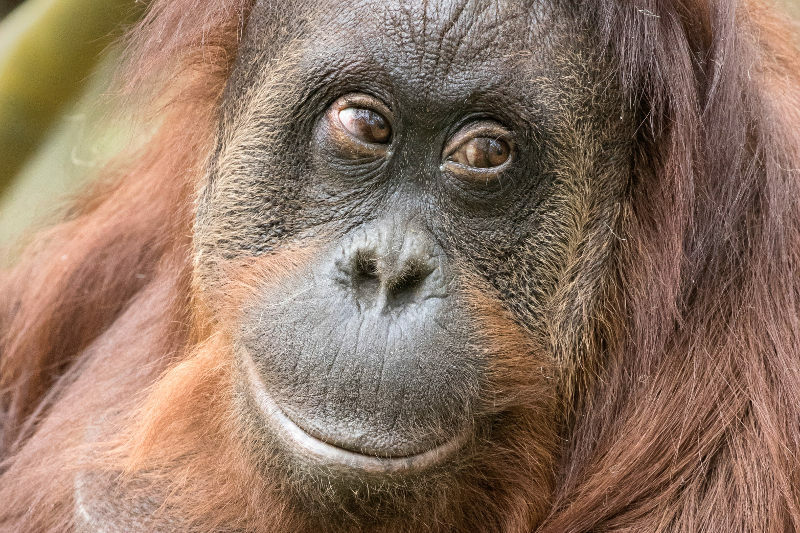 Make a promise to orangutans that you will shop with companies that are members of the Roundtable on Sustainable Palm Oil and/or are committed to using deforestation-free certified sustainable palm oil.